Ever since they introduced the first Ford Mustang in April of 1964, the car has been a legend and the U.S. car industry’s icon. The combination of cool looks, a compact size, powerful engines and affordability proved so popular that the Mustang was one of the most successful new car releases in car history. 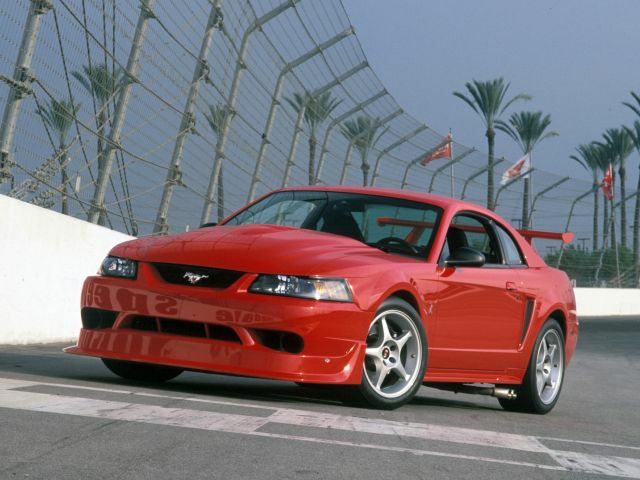 Since then, car enthusiasts have eagerly awaited the introduction of every Mustang generation. The Mustang has defined the entire segment of affordable sports cars. Now, at more than 50 years old, Mustang is one of the longest-serving nameplates in the car world. Besides the design and a choice of a two-door coupe or convertible silhouette, the defining characteristic of the Ford Mustang was and still is its performance. Not all Mustangs were fast cars, though. During its long history, there were more than a couple of slow models, but the majority delivered exciting performances from V8 engines. Over the years, the Ford Motor Company has produced more than nine million Mustangs, so there were numerous versions, models and trim levels with various levels of performance. If you don’t know which Mustang is right for you, fear no more. Read on to learn about the quickest production Mustangs from 1964 to today. This list concentrates only on factory spec models that Ford offered to the public. Racing models or one-offs are not on this list, because Ford produced those cars for specific purposes and they were often not street legal. So, buckle up and go for a fast ride through the Ford Mustang history. Even though Mustang had some performance versions like the GT with a 289 HiPo V8 engine or the Shelby GT 350 in 1965, the first true performance Mustang with a big block engine and respectable 0 to 60 mph acceleration times was the 1967 Shelby GT 500. Bigger and more powerful than before, the 1967 GT 500 featured a new design, a modified front and rear end and a big 427 V8 engine with 335 HP and 420 lb-ft of torque. In those days, Ford was notorious for underrating the power output of their engines and 335 HP sounded too little for a big 427. Mustang enthusiasts claim the real power was closer to the 400 HP mark, and the performance figures backed that claim. The 0 to 60 mph time was 6.5 seconds, which was fast for the day. Thanks to Ford’s suspension modifications, the GT 500 could handle the curves well, too.